The West End smash hit comes to town starring four giants of rock’n’roll – Eddie Cochran, Gene Vincent, Billy Fury and Buddy Holly. In 1960 American rockers Eddie and Gene flew in from the States and were joined by British heartthrob Billy Fury for the UK’s very first multi-artist rock’n’roll tour. Reviewers were appalled by the on stage antics. Audiences screamed their approval. British youth culture was born. Relive these seminal concerts in the company of incredible singers and a band tighter than a pair of your tightest drainpipe trousers. And there’s more – Holly’s live tours were equally responsible for introducing rock’n’roll to the UK. The five are seen combined on stage for the first time ever. 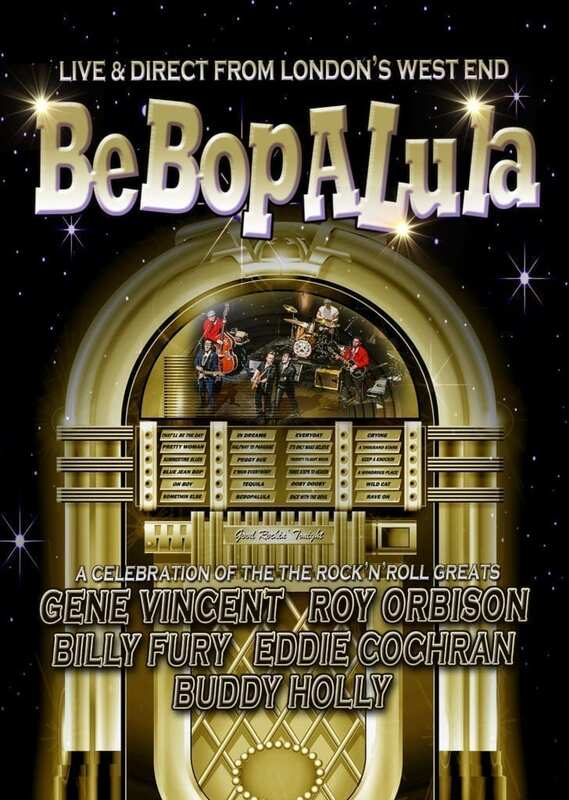 From Cochran’s legendary guitar riffs, Vincent’s menacingly moody stage presence, Fury’s smouldering looks and soaring vocals and Holly’s good-time rock’n’roll anthems, Be Bop a Lula is a real doozer of a stage show.